Blood in the urine, also known as hematuria, can have many causes. The red blood cells can make urine appear pink or red (known as gross hematuria, however, hematuria isn't always visible and may only be detectable when a urine sample is viewed through a microscope (microscopic hematuria). Blood in urine should not be ignored, especially when it occurs with one of the above symptoms. It may indicate a serious condition that requires urgent treatment. Medical procedures on the urinary tract, such as having a tube (catheter) inserted into the bladder or a biopsy of the bladder or kidney. 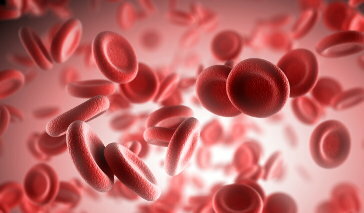 Blood-thinning medications, such as warfarin and aspirin. Additionally, certain medications and foods—such as beets—can cause the appearance of hematuria. But since blood in urine can indicate serious conditions, any instance of pink or red urine should prompt a physician visit. Gerber GS, Brendler CB. Evaluation of the urologic patient. Campbell-Walsh Urology, 10th. ed. 2011. Hematuria: Blood in the urine. (2012). National Kidney and Urologic Diseases Information Clearinghouse (NKUDIC). NIH Publication No. 12–4559.